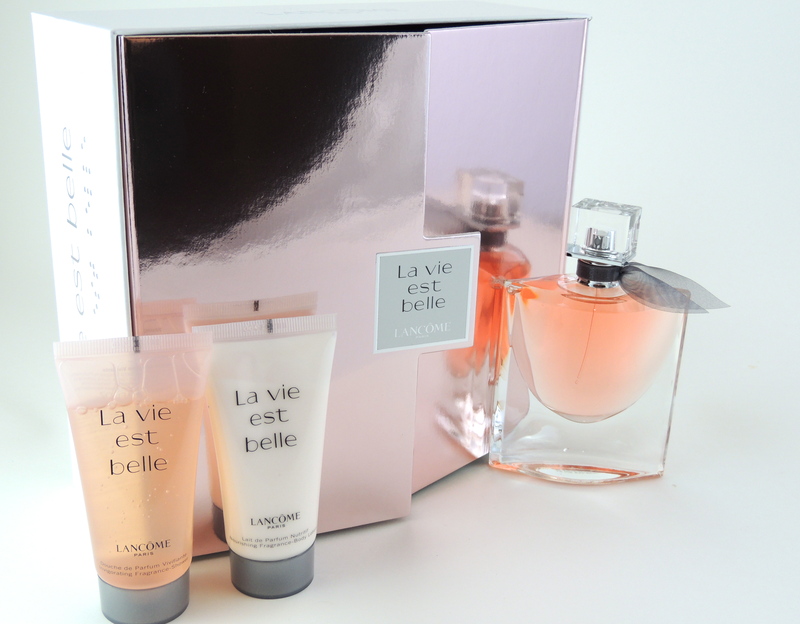 LANCOME La Vie est Belle l'eau de Parfum Set - Give Me Gorgeous! I have wanted to purchase this fragrance for some time now, ever since I tore a scent card of it from one of my magazines, and then tried a sample vial of it from the department store. 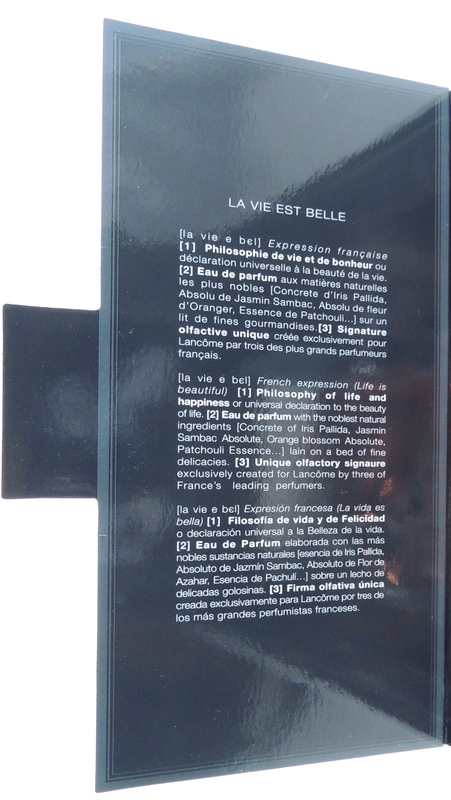 La Vie est Belle is the French expression for life is beautiful, the scent reminiscent of sunny spring flowers or a summer garden in full bloom. The product’s packaging is truly pleasing to the eye. 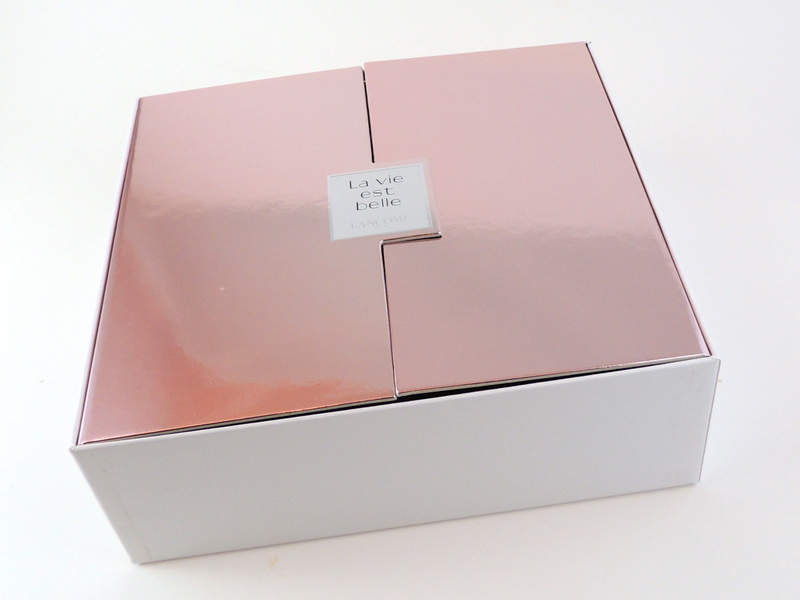 The set comes in a white box that has a metallic pink lip that divides down the center to create two panels that open out to reveal an Eau de Parfum Spray at 2.5 oz, Nourishing Fragrance Body Lotion at 1.7 oz, and Invigorating Fragrance Shower Gel at 1.7 oz, within. These three are set on top of a very pretty watercolored ballroom scene on the inside back panel of the box, complete with glittering chandeliers. The smooth clear glass bottle of the parfum is rectangular but tapers on either side, creating graceful lines that reveal the delicate, pale pink hue of its liquid center. La Vie est Belle’s scent evokes white flowers, with a mix of Jasmin Sambac Absolute, Iris Gourmand, Orange Blossoms and Patchouli Essence. 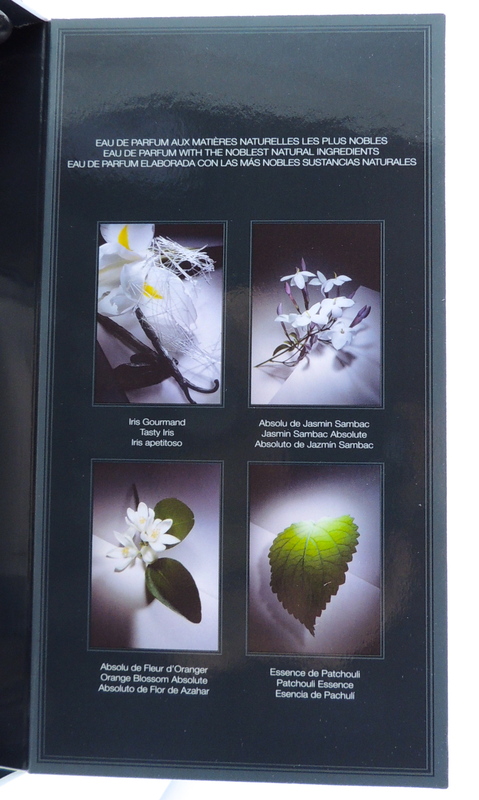 The Patchouli (generally not a favorite of mine) lends a complex layer to a perfume that beings fruity sweet bright floral, then develops into a subtle oriental white floral blend with just a note of spiciness. One spray of delicate rosy liquid from this stylish, cool bottle lasts for the whole day. I received many compliments on it the first day I wore some of the sample! 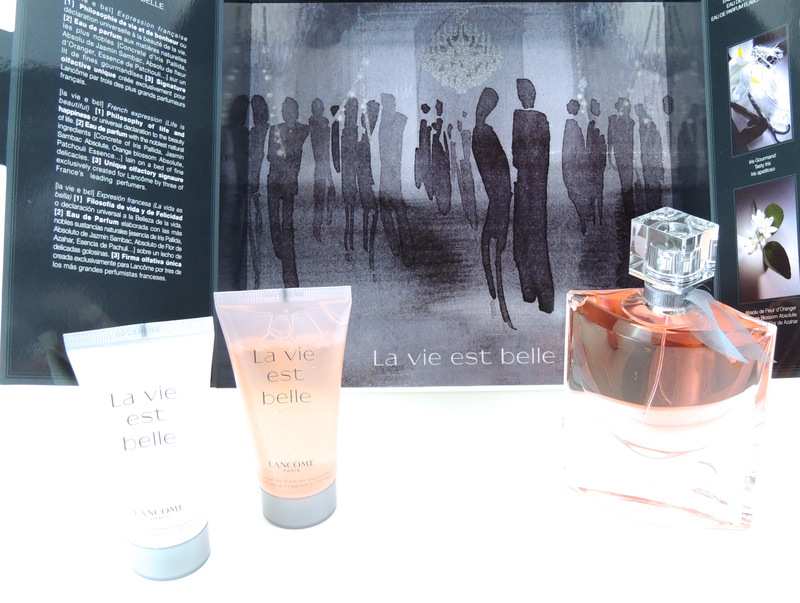 La Vie est Belle is a truly gorgeous, feminine scent! Purchased at Nordstrom. It sells for $99.50, listed at a value of $120.00.